There are two tour options to reliably view polar bears in the wild. You can take a cruise around the Arctic archipelago of Svalbard, high above the Arctic Circle, north of and belonging to Norway when the bears are concentrated onto the land by the melting of the sea ice in the summer months. 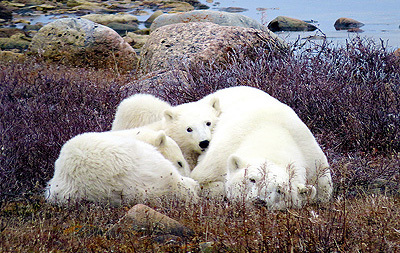 Alternatively you can see them later in the year when they gather on the shores of Hudson Bay in and around the town of Churchill in Canada. Polar Bears by Ship: Shrinking sea ice concentrates polar bears on Svalbard so in the summer there are more bears than there are people. 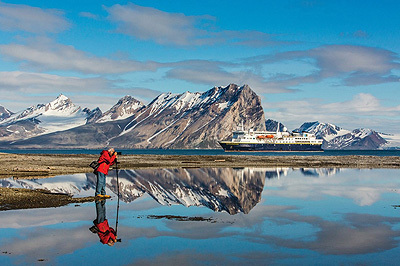 Cruises are usually either semi or full circumnavigations of Spitsbergen, the largest island. 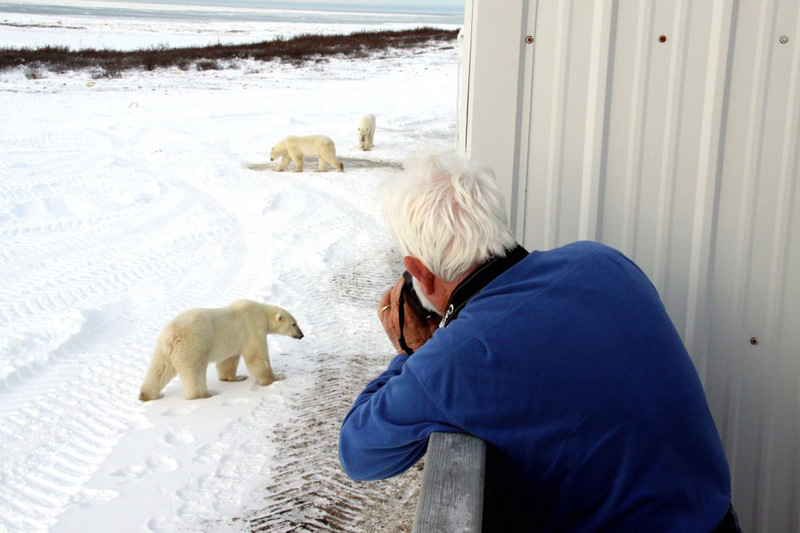 Polar bear sightings are not guaranteed and can be at some distance, though you can expect to see them clearly, the last time I went, we averaged more than one bear sighting per day. There is plenty to see other than the bears, wildlife, historical relics, glaciers, icebergs and spectacular scenery that changes daily. Excursions and hikes ashore are arranged on a daily basis or more frequently. 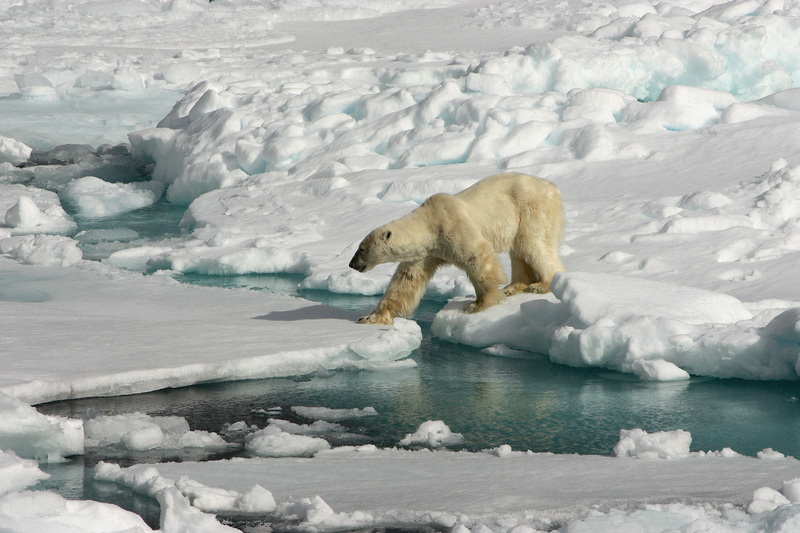 Polar bears are a feature of Svalbard cruises, but not the main focus and there are many other things to see. Polar Bears on Land: The summer months are a lean time for polar bears, sea ice allows them to hunt seals, their preferred prey. 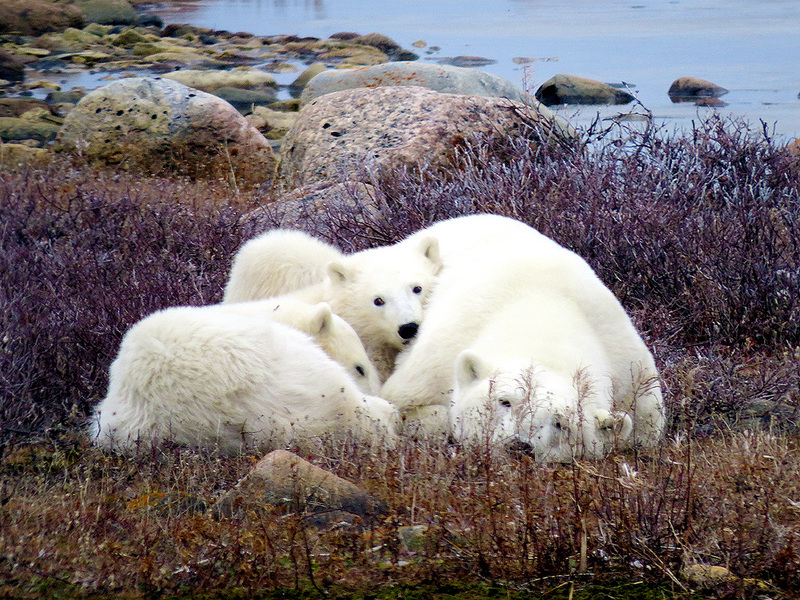 In anticipation of the forming sea ice, polar bears begin to assemble in the vicinity of the Canadian town of Churchill in October and November each year. A "Tundra Lodge" provides accommodation amongst the bears themselves, elevated for safety and with viewing platforms for a full immersion experience. There are other excursions available at extra cost such as dog sledding and helicopter trips. Polar bears are very much the main focus of such trips. While polar bears can be seen in other places in the Arctic, these two areas offer the most reliable viewing opportunities. 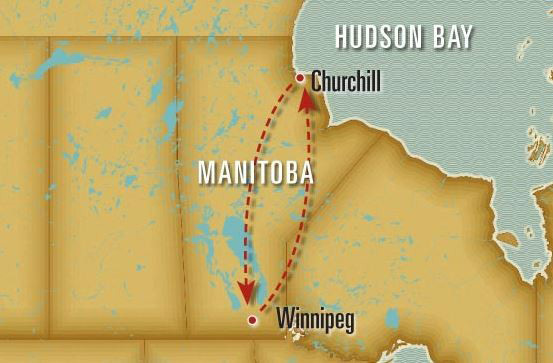 Churchill on the mid-western edge of Hudson Bay is reached by a flight from Winnipeg, Canada, (often included in the cost of the expedition) Winnipeg is the effective start and end point. 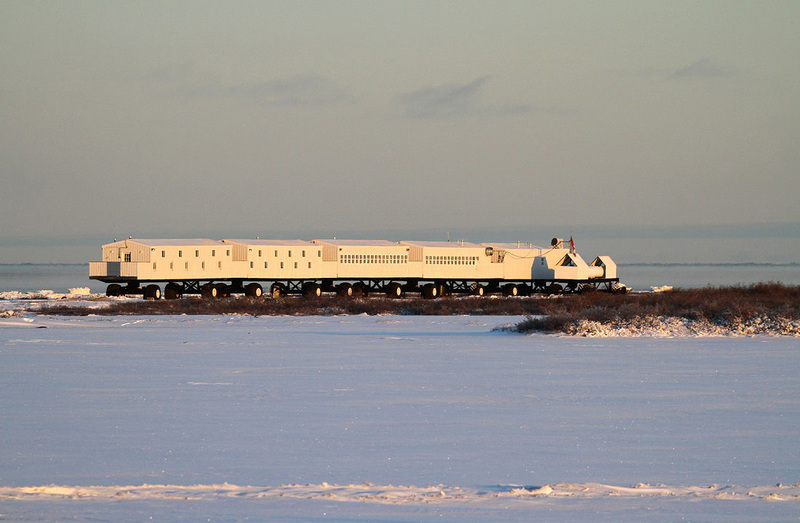 Your Churchill polar bear tour begins in Winnipeg, once a fur-trading post and boomtown for the Canadian Pacific Railway, today Manitoba's cultural and commercial capital at the eastern edge of Canada's vast prairies. Transfer to the historic Fort Garry Hotel, grande dame of Winnipeg hospitality and one of the city's most prestigious landmarks. Meet your Expedition Leader at an orientation dinner at 7 p.m. this evening. Fly to Churchill this morning. This hospitable outpost town, originally a fur-trading post, is your base for adventure. Head to the tundra this evening for your first glimpse of the bears, though you often see them from the bus leaving the airport, even before boarding the polar rover. Unique tundra vehicles are your mobile means for spending time among the polar bears. Although they accommodate an average of 35 passengers, there will be a maximum of 16, ensuring everyone a window seat. Your Expedition Leaders know the best places to view bears, which are waiting for the ice to solidify on Hudson Bay so they may begin the winter seal-hunting season. Spend hours watching them interact, delighted by their antics and rugged beauty. From the warmth of your vehicle, you may see mothers with cubs and young adult males play-fighting. Your knowledgeable Expedition Leader offers interpretation along the way, explaining the bears' behavior and how they thrive in such a harsh environment. In the evenings, meet for dinner, followed by presentations on wildlife or local cultures. Your return flights are scheduled to depart in the mid-late afternoon, to offer as much time as possible to explore Churchill. Pick up last-minute native handcrafts and souvenirs or, if time permits, take an optional helicopter journey over the tundra before your flight back to Winnipeg. After breakfast, transfer to the airport for flights home. 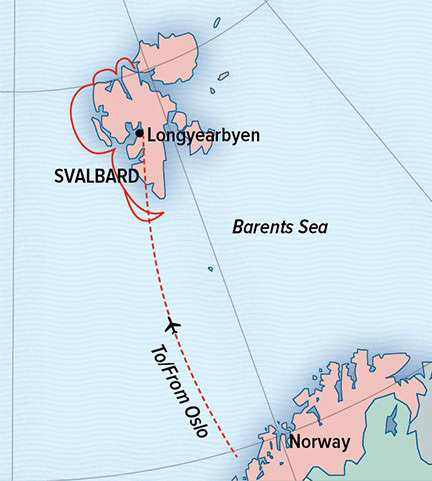 Svalbard is reached by a commercial flight from Oslo, Norway, the ship is met in Longyearbyen, the largest town in Svalbard. Your Spitsbergen adventure begins when you board your ship in Longyearbyen, the island's largest settlement. As you embark, you'll enjoy great views of the mountainous landscape that serves as a backdrop for this seaside village. You'll sail around this magical island, constantly searching for polar bears and other natural wonders. 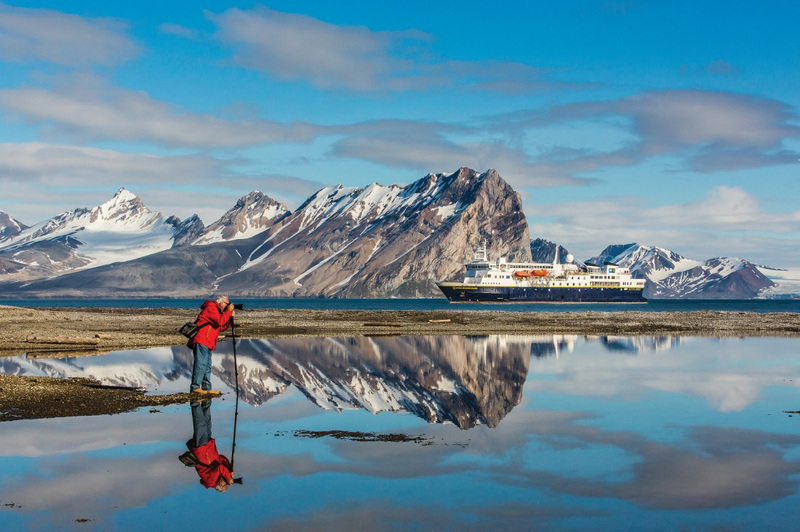 Covering western Spitsbergen as well as outlying islands to the north, your expedition will afford ample opportunities to view immense glaciers, deep fjords, soaring mountains and unique flora and fauna. Sailing north into Krossfjord, have your camera handy, ready to capture some of the best calving in Spitsbergen. Deep in the fjord, the highly active Lilliehook Glacier awaits. Listen in awe to the growling as big chunks break off into the icy waters below. A Zodiac excursion to nearby Ny London, an abandoned mining settlement, provides an ideal place for a guided walk. Encounters with wildlife, such as the indigenous Svalbard reindeer, are possible here. After cruising overnight, wake up to the stunning sight of the magnificent Monaco Glacier, another prolific iceberg producer. As if that isn't thrilling enough, your Expedition Team will also be on the lookout for belguas and other marine mammals. 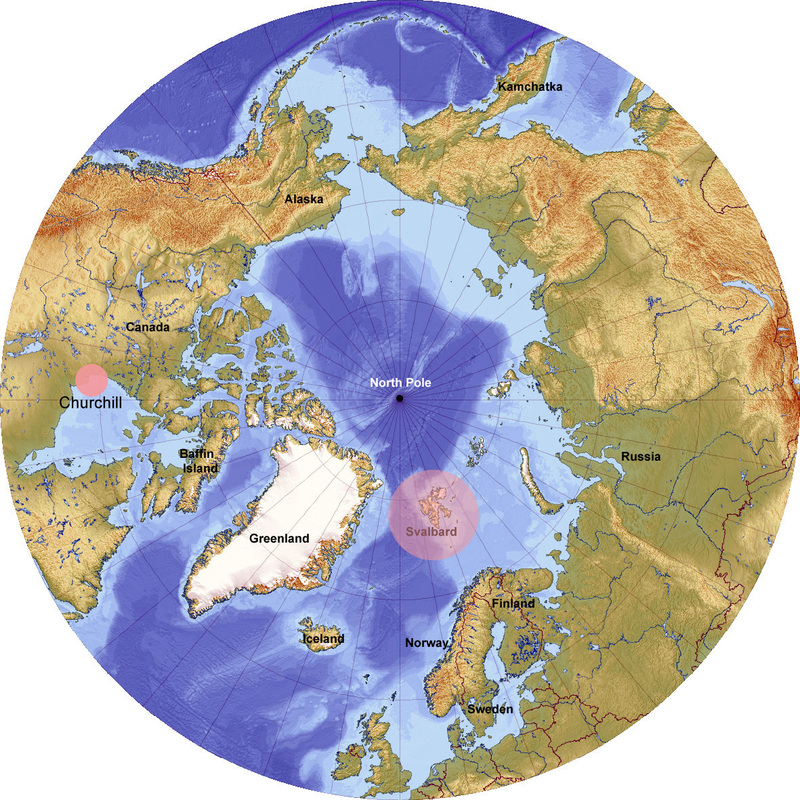 Possible landing sites include Texas Bar, Worsleyneset and the Andoyane Islands (where polar bears have been known to roam). 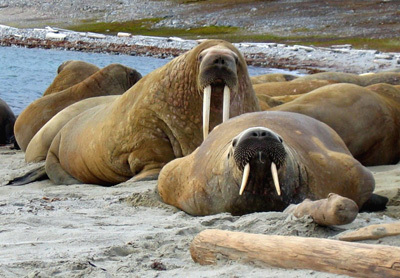 At 80°N, you'll reach a walrus sanctuary on the tiny, crescent-shaped Moffen Island. Watching large groups of these lumbering giants jockeying for space is an unforgettable experience, so be ready with your binoculars. The abandoned settlement of Smeerenburg (which means "blubber town" was established by Dutch whalers nearly 400 years ago. Here, at one of Europe's most northerly outposts, you'll have time to explore ashore and learn about Spitsbergen's whaling history. Afterwards, cruising to Magdalenafjord rewards you panoramic vistas of snow-capped mountains and massive glaciers reflected in the crystal-clear waters. During your last full day of your arctic adventure, the options are open. You may visit the Russian mining town of Barentsburg, home of the world's northernmost brewery, or Trygghamma, where you may have the chance to walk on a glacier. Round out the day in Alkehornet, taking in the towering cliffs teeming with nesting seabirds, such as fulmars, guillemots and thick-billed murres. Encounters with reindeer might be possible here. Later, in the evening, swap stories with your shipmates and crew one last time, at the captain's dinner. The time to say goodbye has come. Your adventure ends as it began, in the frontier-style settlement of Longyearbyen. From here you'll transfer to the airport for your flight home.